You control the price*! 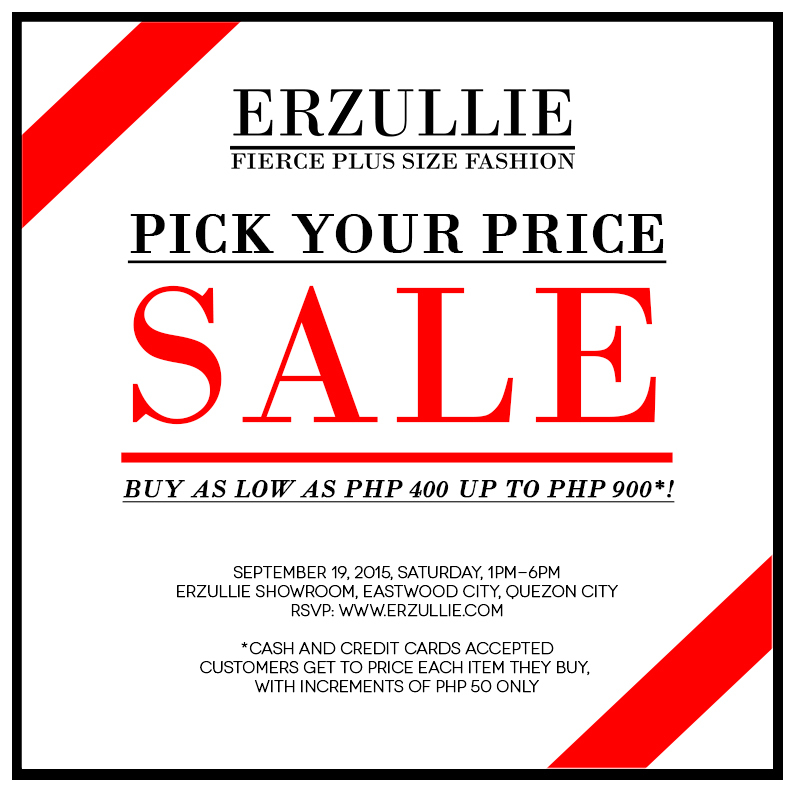 Join Erzullie’s Pick Your Price Sale, happening on September 19, 2015, Saturday, 1PM-6PM at the Erzullie Showroom, Legrand II, Eastwood City, Quezon City. Buy any Erzullie item at the price you pick --- as low as PHP 400 to as high as PHP 900*! Cash/Master Card/Visa Credit Cards are accepted.